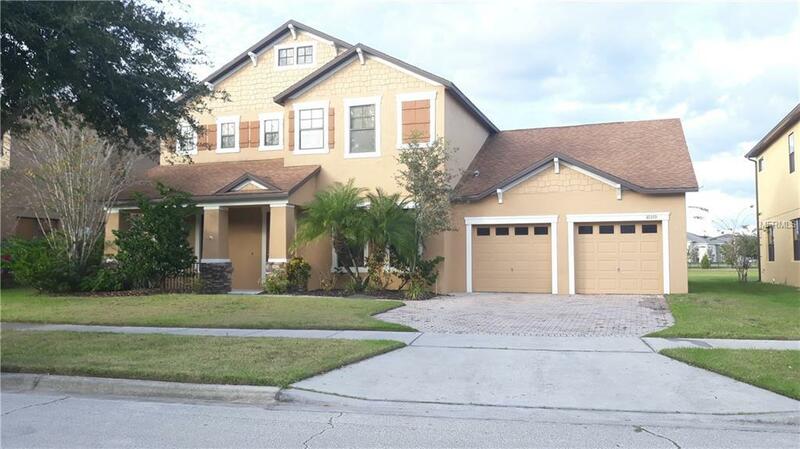 Located in Lake Nona called medical city with hospitals, UCF medical school, cancer center. 2 story single home, pond view, The LARGEST SIZE in the community East Park, 3492 heated sft, 5 bed rooms, 3.5 baths, plus an office/loft downstairs , one suite in downstairs, partial wood floor at downstairs office, family area and one suite downstairs. Formal dining and formal living area, excellent schools. near highway 417, 528 , airport, retail store, banks, super market.